I always enjoy a bit of “Off The Beaten Track Travel.” And I’m a big fan of UFO and Extra-Terrestrial adventures. These interests have previously taken me to places such as Area 51 near Las Vegas in search of otherworldly stuff and Nazca, Peru to view the Naza Lines (related articles Area 51 – Nazca, Peru). 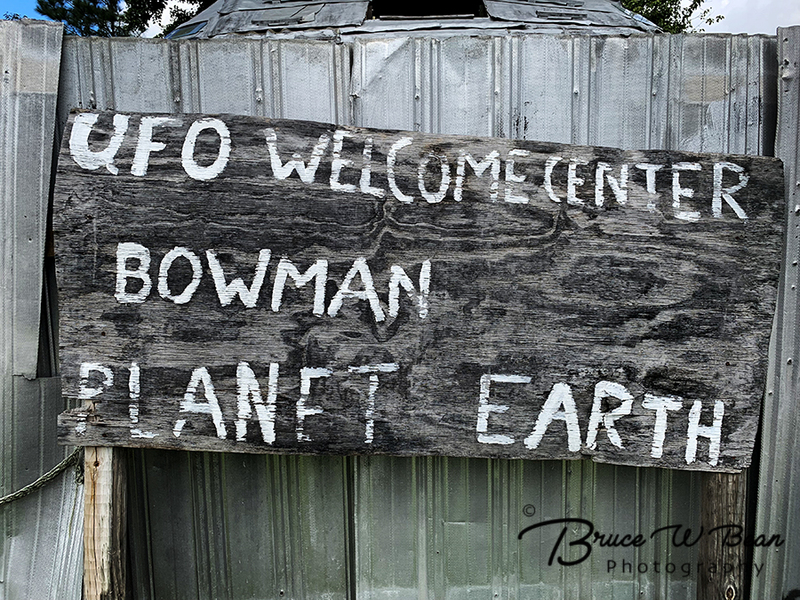 But only recently did I learn of the UFO WELCOME CENTER – the first stop for extraterrestrials visiting Planet Earth. Well, of course I had to check this out – and you can as well. 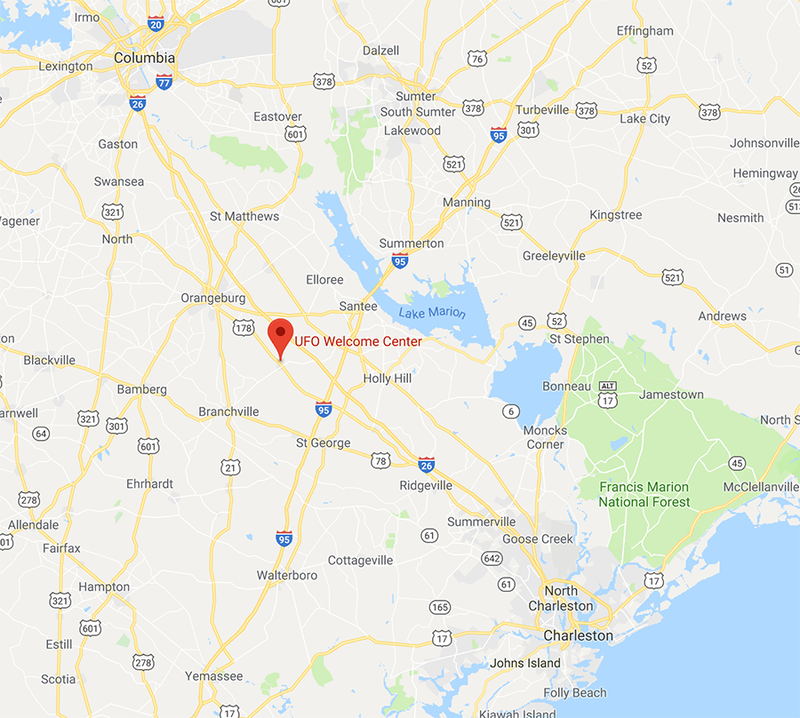 The UFO WELCOME CENTER is located in South Carolina just off Interstate 26, about mid-way between Columbia and Charleston in the town of Bowman. 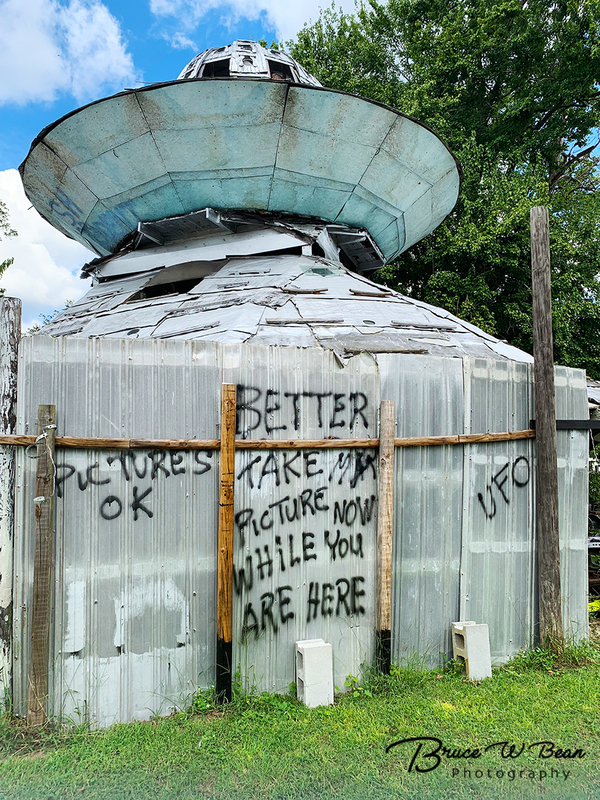 It’s not clear why this particular location was chosen for the UFO Welcome Center – the first earthly stop for space-faring visitors. But there it is. The Center’s sign stands proudly at the entrance. It appears it could use a bit of touch up and perhaps a new coat of paint. 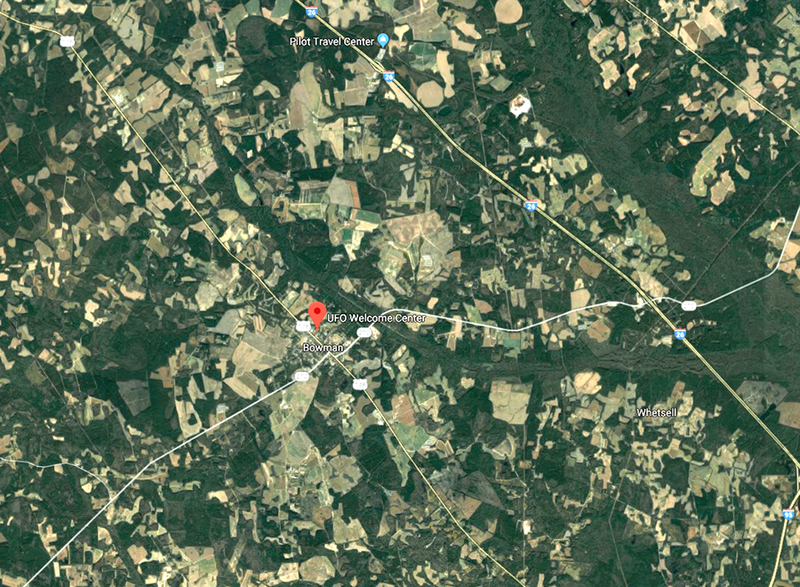 The Center is located at 4004 Homestead Rd, Bowman, SC 29018, on the corner of Homestead Road and Oliver Street. For UFO Visitors the GPS Coordinates are 33.35179, -80.68459 On the day I visited the UFO Welcome Center there was no one around. I had the whole place to myself. It was just a slow day for UFOs I guess. Or maybe outer space was closed for repairs – who knows? With no-one about I had a nice chance to wander and explore. I was happy to see there were no security restrictions – “Pictures OK” – my kind of place. Apparently wandering about inside the Center can be a bit risky. Always up for a challenge, I decided to chance it. 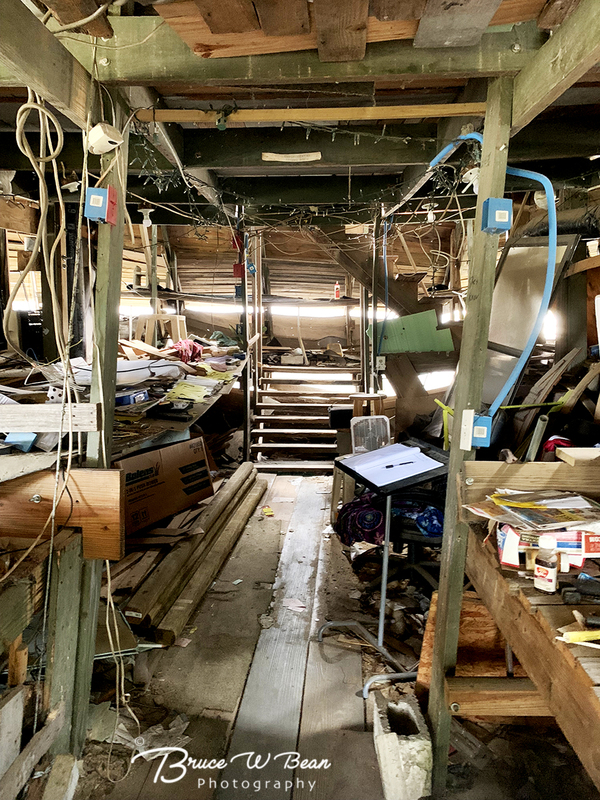 ( BTW – I reasoned that Earth is obviously a planet in space – thereby qualifying me for admission as a “Space People.” ) I have to say, the interior of the UFO Welcome Center is a bit basic and rustic. Hopefully staff will tidy up a bit when they return. During my exploration I discovered the Guest Register. 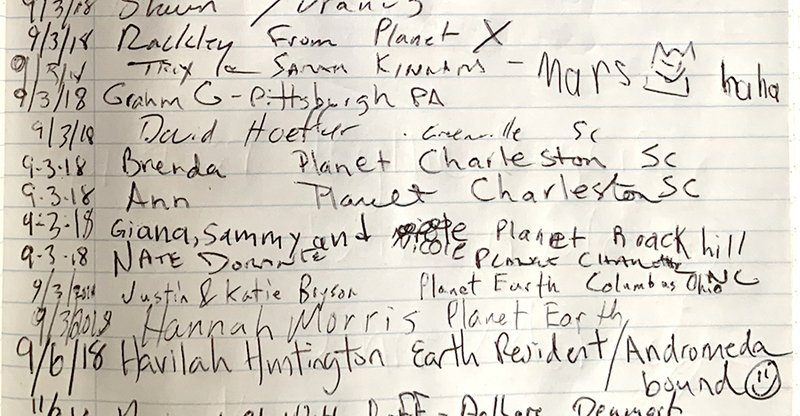 After scanning previous entries I saw that many visitors are local earthlings. But a good number of others list their residence as off planet – places like Mars, Planet X, and the Crab Nebula. It also appears that earthlings occasionally stop by prior to heading off world. One listed himself as “earth resident” but was “Andromeda bound.” As the signs say, the UFO Welcome Center is primarily for “Space People Only.” But I found the Center to be visitor friendly for Earthlings as well. 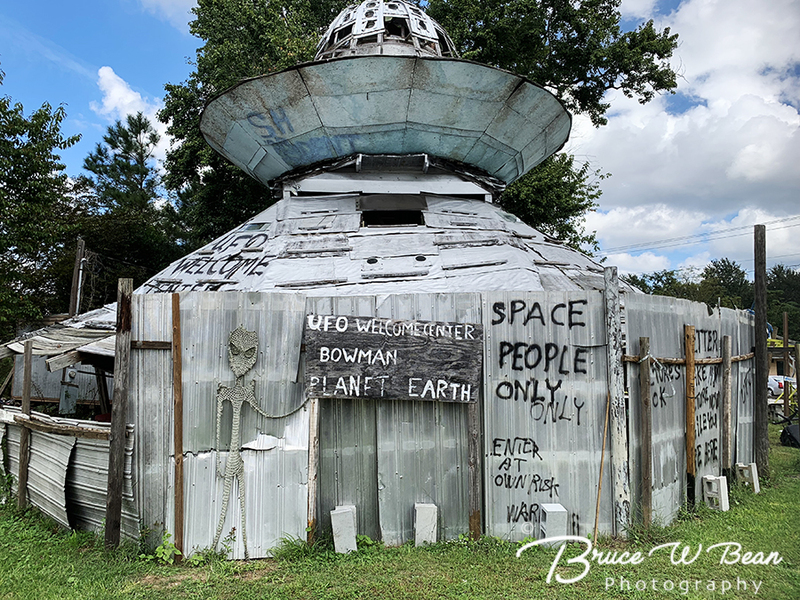 So – if you are ever in the area – be you “Space People” or “Earth People” – be sure to stop by and check out the UFO Visitor Center. It’s a great quirky place for your Off The Beaten Track Travels. 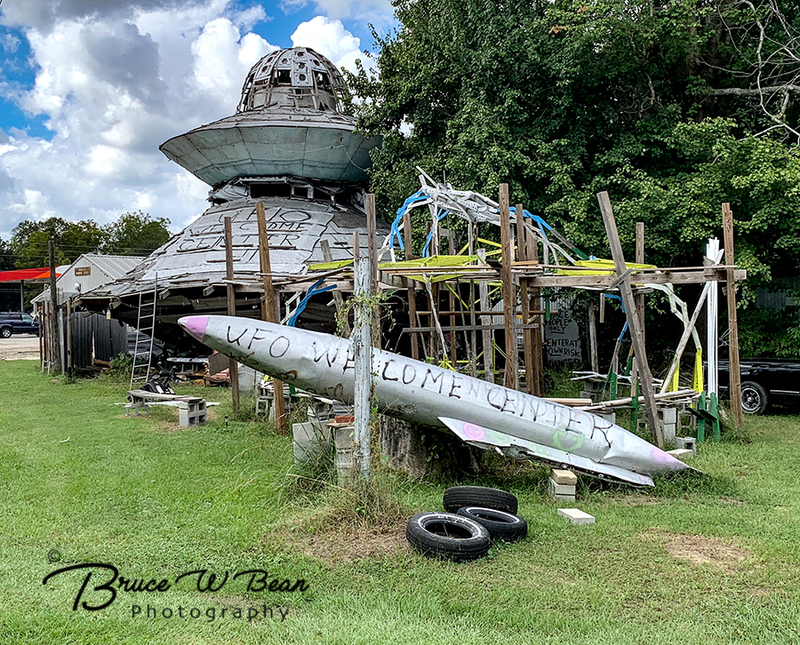 Visit The UFO Welcome Center ………… And Enjoy The Adventure! 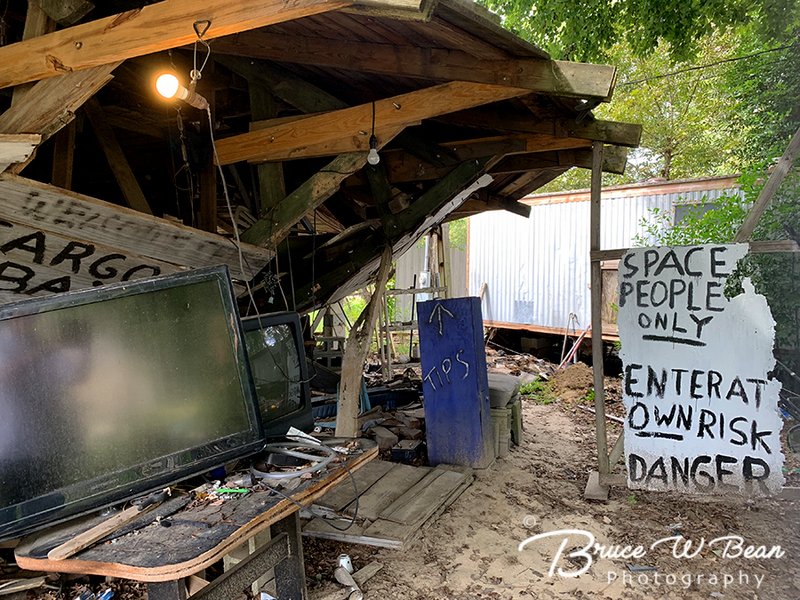 This entry was posted in General Photography and Travel, Off The Beaten Track and tagged Carolina, Space, UFO by Bruce W Bean, Ph.D. Bookmark the permalink.